At the end of last year, our MD, Steve Berry, and a group of good friends, travelled to Morocco to try out our new coastal trek. For Steve, this was not only a chance to enjoy some great winter trekking but also to take a nostalgic trip down memory lane. Here's his account of his latest Moroccan adventure. "I first travelled to Morocco in 1968 at the age of 19 yrs. I hitched across France and Spain and joined up with some friends in Madrid and from there we took a train to Algeciras followed by a ferry to Morocco. 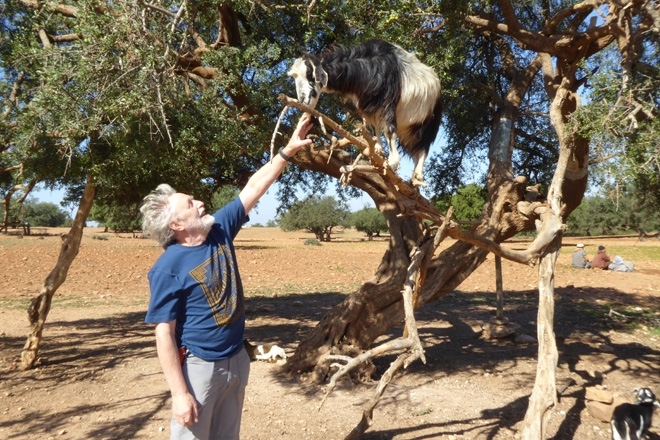 We carried on hitching down to Marrakesh and from there onward to Essaouira. I wore a bowler hat whilst hitching to grab people's attention. It most certainly helped me get lifts! These were the 'Flower Power' days and arriving in Morocco as young hippies we switched to wearing caftans and beads, and I sold the bowler hat to an American tourist. Essaouira stands out in my mind as one of the most beautiful, dreamy places I had ever been to. The Portuguese had fortified the port in the 1600's and the ancient town survives to this day, though in 1968 we did not stay in the town but lived in a hippie encampment by the beach. Jimi Hendrix bought a house here and it is rumoured that he wrote 'Castles Made of Sand' there. This is where our Coastal Trek starts from, and where the camels will be waiting for your arrival. I myself and another group of more mature friends did this trek in February 2019. We thought it was fantastic; a really relaxing ramble down the coast for 5 days with bags of winter sun and a lot of varied trekking. Sometimes you trek on hard sand on empty beaches, and sometimes along the tops of rocky headlands. There are straightforward cliff paths, walks through groves of argan trees, sand dune scrambles and descents to magical bays where you will find ammonites and an opportunity to have a go at camel riding. Most nights you camp on the sands but on two nights you camp next to shrines built in honour of local holy men, and on at least one day you will share mint tea in a local farmhouse. We also came across the extraordinary sight of groups of goats which had very cleverly climbed high into trees to nibble the leaves! Finally you head to Essaouira to stay in a very atmospheric riad and wander the narrow streets of the souks and medina soaking up the sights and sounds of 'old Morocco'. Whilst you’re here you get to experience a hammam – a hot steam bath followed by a vigorous massage which bears no comparison to a spa treatment back home. Hammams have been used by the locals since ancient times to cleanse, socialise, relax and rejuvenate and are still very much part of modern day life across the country. There’s also the chance to learn about Moroccan spices and have a go at creating your own culinary masterpiece at a cookery class. For your final night you return to Marrakesh, and a last chance to haggle in the souks for a pair of colourful leather slippers, some silverware, spices or maybe even a fez to take home – but perhaps not a bowler hat! 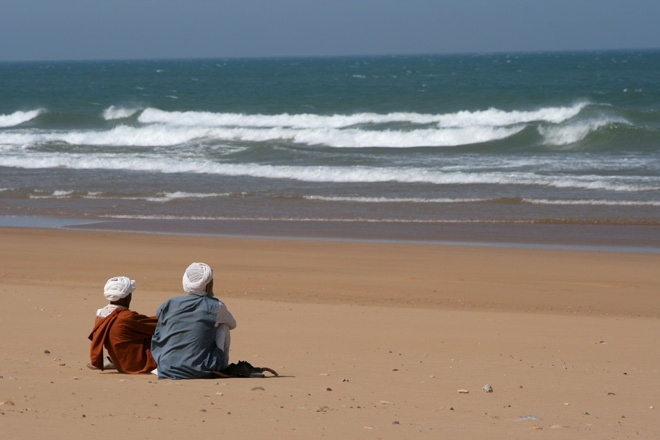 Find out more about our Morocco Coastal Trek & Essaouira holiday or contact Steve on 01453 844400 if you have any queries.